Family picture in front of the king’s palace in Thimpbu, Bhutan. 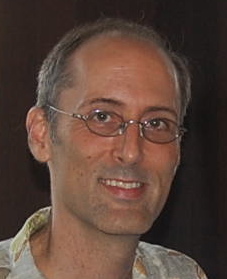 My name is Marty Schmidt and I am a humanities teacher at Hong Kong International School. 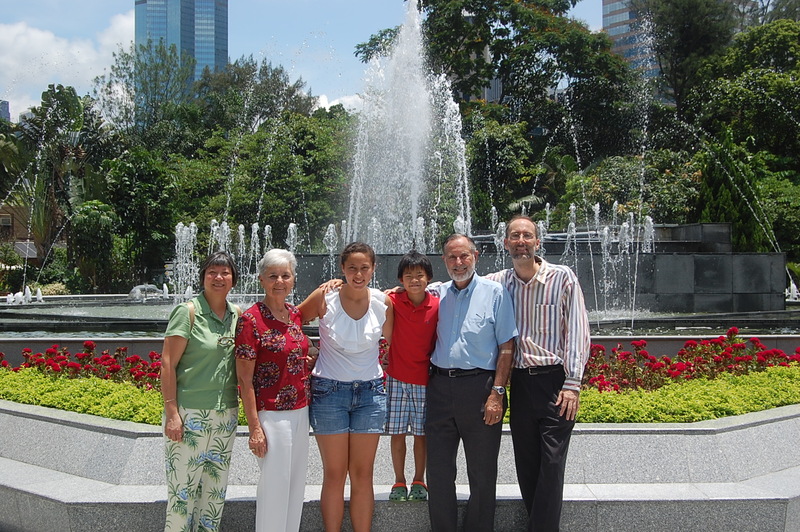 I have served as a teacher at HKIS since 1990, teaching history, English, and religion courses. Since the mid-1990’s I have also come to assume responsibility for many of the school’s service learning initiatives. 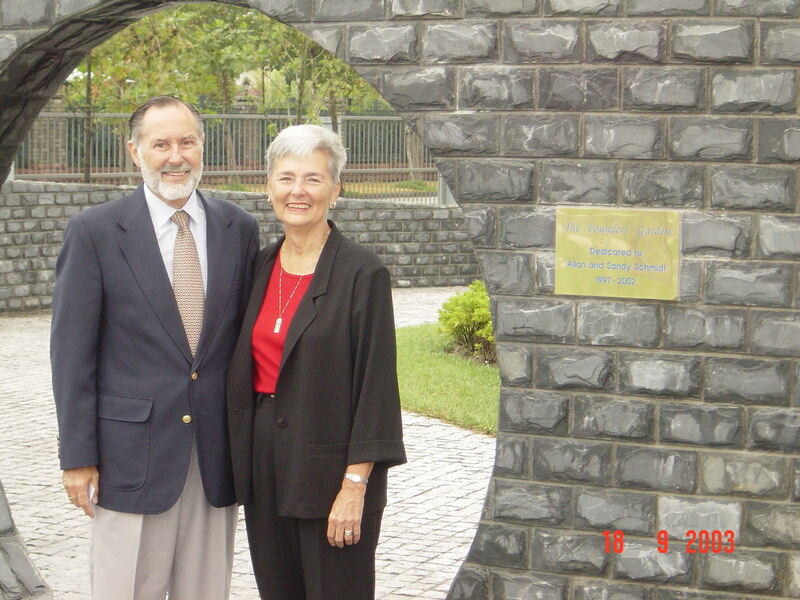 From 1999-2014 my position also included a ministry of human care with the Lutheran Church-Missouri Synod in Hong Kong, southern China, and others parts of Asia. Bringing my affluent students into contact with people served by the LCMS in Asia has proved to be beneficial both to students and our community partners alike. 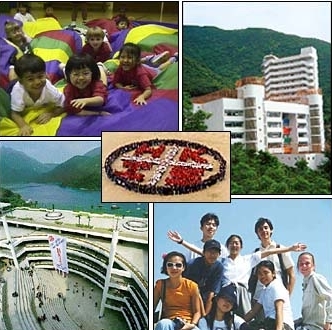 I work closely with the Concordia Welfare and Education Foundation and the Asia Lutheran Education Association in making connections beyond HKIS in the broader community. 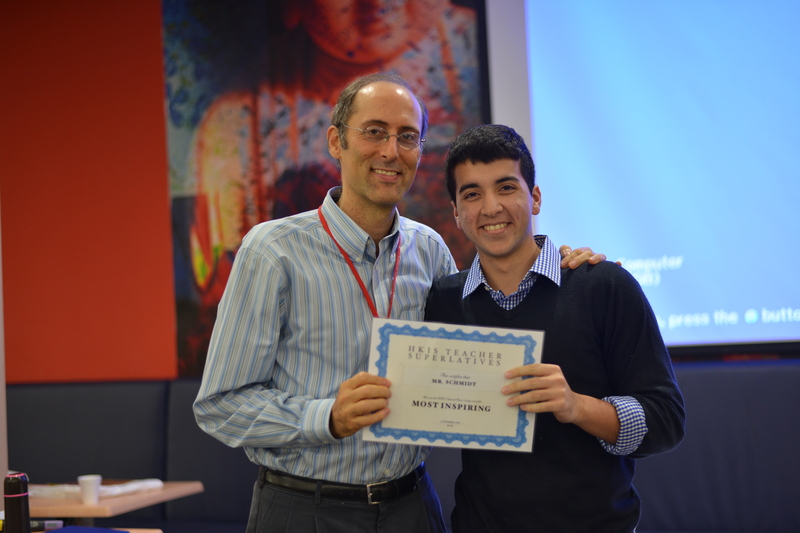 I (with Mike Kersten) recently presented at a TEDx event in Hong Kong on inspired education. To see a list of my publications and presentations, hit here. Both institutions have given me and my colleagues a great deal of freedom to experiment with service learning, experiential learning, and other innovative attempts to offer our students richer educational experiences. Over the years I have become committed to social conscience education, which gives students the opportunity to find their place in society in the context of challenging global realities. One of the great joys of doing this work is that my family has frequently joined me on service experiences. My wife, Zella Talbot, also teaches social conscience courses. After a gap year of teaching in a local Hong Kong kindergarten, Christa began studying at Bryn Mawr College, a small liberal arts college in Philadelphia. Our little guy, Micah, will be entering 9th soon. 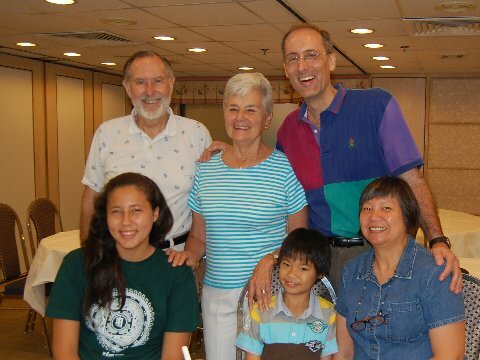 Finally, my parents, Allan and Sandy Schmidt, are an important part of my journey in Asia. 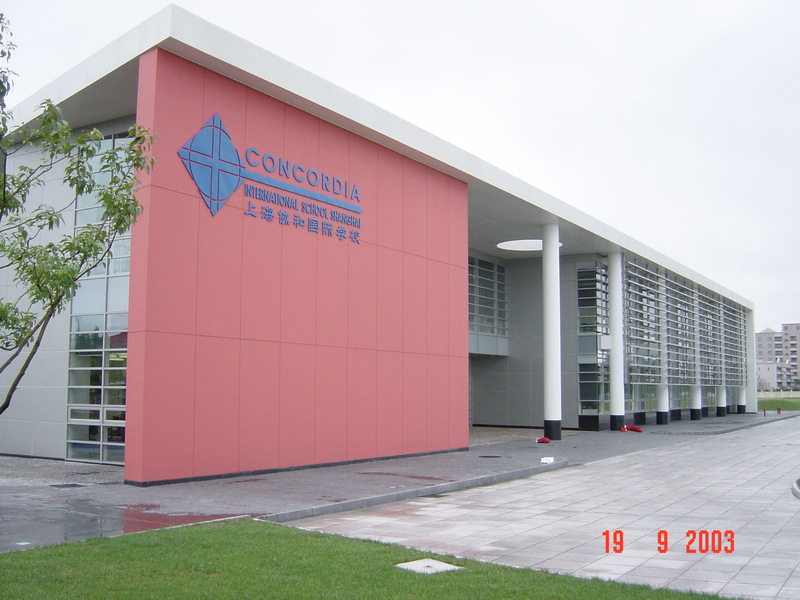 They moved from the U.S. in 1997 to Shanghai to establish a sister school to HKIS, the Concordia International School – Shanghai (CISS). 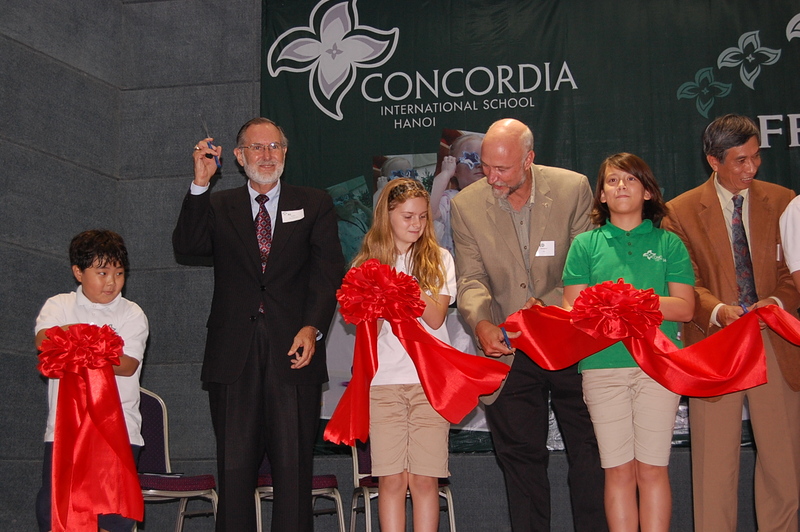 Several years ago my father was instrumental in receiving government permission for Concordia International School – Hanoi (CISH) to open in August, 2011. 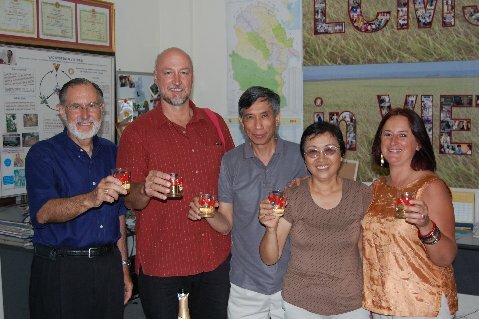 Here my Dad celebrates the signing of the final documents with his close friends and partners in this massive, five-year undertaking: Ted Engelbrecht, Dr. Tu Ngu and his wife Dan, and Jacqueline Engelbrecht. The schools on this website are all associated with the Asian Lutheran Education Association (ALEA). To see a list of ALEA schools, please click here. Thanks for contacting me, Marty! I agree that Transformative Learning experiences are truly happening with our younger students–especially those that have had to “grow up quickly” or have had to face adverse circumstances at young ages. I look forward to hearing more about your dissertation and hearing what you think of the book! Hi Mr. Schmidt, this is Bora Lee (HKIS ’98). It is so great to see you through your blog! I was hoping to get in touch with Ms. Talbot and came across this site. I hope you guys are doing well, I saw pictures of the family in a recent alumni newsletter. When you have a chance could you forward me Ms. Talbot’s address? I would love to get in touch with her. I read an article today that reminded me of a very specific conversation I had with her in her office and thought of her. I’m so glad to see you are both still teaching at HKIS. So nice to hear from you! What are you doing these days? I’m reading your publication, “Christ, Conscience, and the Curriculum.” Sandy left it on my dining room table. Very nicely done. I especially appreciate its Biblical sources and believe I may be able to integrate it into my own course work. WIsh I’d had it when you were my student. Say hello to Mr. Kersten for me. He may be interested to know that I still keep some of his test answers in my 101 notes. Hey Marty, long time no talk. I thought that I will leave a reply here and congratulate you on your PhD. And it is a fantastic website. I am going to send you an email now. Thank you so much for what you are doing. I read your comment in the infographic “East meets West”. Would love to connect with you. I am very interested in your topic “Social Conciense” God bless you! Chris Kukk asked that we share the article from Education Week with everyone. It is attached in this e-mail. The cyclical debate about whether the goal of education should be “learning” or “becoming” has surfaced again (see Marc Prensky’s “The Goal of Education is Becoming” in Education Week of 5 May 2014). Our central questions for the education conference call are: Does compassionate education fall on either the learning or becoming side of the debate? Does it straddle the divide or is it neither? Seems to touch on things you share in this blog. Thanks, Sue, for your comment and active interest in this blog. On this question, the goal for students in our school is learning/achievement, for this is the “way of the world.” Yet, personally, most parents I know will tell you that becoming is more important. We are split in our souls, and we don’t know how to navigate the division. So, as teachers we have to earn our keep by providing students with a strong skill-based experience in our classes, all the while using our ability to frame curricula and our own evident motivations to subvert that achievement narrative with a story of fulfillment/becoming story. I think we are able to do that with our Humanities I in Action curriculum, but it’s challenging because our students have become increasingly grade-conscious because they have instant access to their current grade, and check continuously. This is an issue of awareness. When kids are primed by grades, they act within the achievement paradigm. We need to prime students with deeper issues that speak to their hearts and souls. We do in our classes, but there are so many other pressures on them that in a few years I fear that some look back at our classes and remember their naivete in which they actually thought they could make a difference in the world, or that the most important thing in school was developing a philosophy of life. Those loftier pursuits are beaten out of them as they move through their high school years. What you do is inspiring <3. I'm a 23 year's old ESL teacher in Mexico and I wanto to contribute to my society in this way too. I'm glad I found your blog, best wishes! Thanks, Erika, so nice to hear when anyone reads something I’ve written! Good luck – it’s what makes my life meaningful. I lost your email address, so here we are. I am contacting you because I would like to recommend a book for the humanities 1 in action class. It’s called ‘strength in what remains’ and it would go well with the genicide unit. It’s about a kid who redeemed himself in the wake of the Rwanden/ Brundi genocide. I think that this give good insight on the factors that lead to the problem in these countries. Also, it gives a nice optimistic outlook on what one can do in the wake of a genocide to reconcile tragedy.